We rounded up some cool pieces of jewelry, and a few accessories, that anyone would love to add to their collection. You know how much we love jewelry, I mean, we love it so much that we launched our own site, Adorn Milk to sell some of our favorite brands. 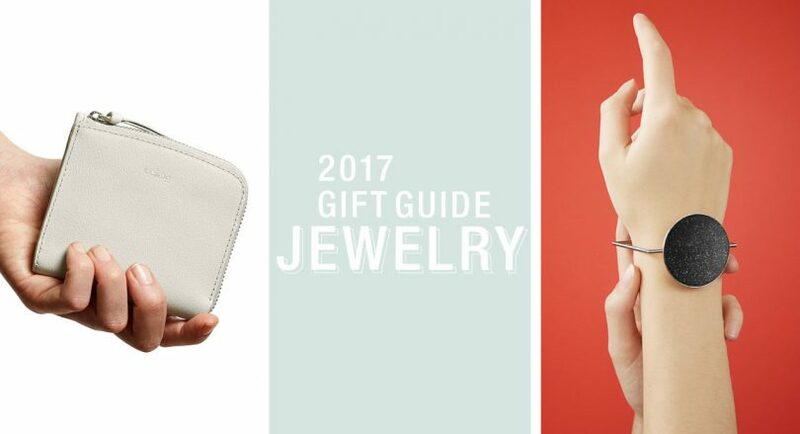 Our fondness of modern jewelry always keeps us on the lookout for new pieces we secretly (and not-so-secretly) want to own and the holidays are an even better excuse to feed our love (i.e. addiction). We rounded up some cool pieces of jewelry, and a few accessories, that anyone would love to add to their collection. Inspired by 20th century Constructivism and the Bauhaus, this sterling silver necklace is composed of moveable components that hang from a bar that can be worn vertically or horizontally, giving the wearer lots of different options. This three-dimensional square ring can be worn by any jewelry lover, especially those that have a fondness for minimalist, sculptural art. The geometric design comes in either blackened stainless steel or sterling silver for completely different aesthetics. This pair is made up of two different earrings, each balanced much like a mobile. The organic forms are wrapped with cobalt and blush thread and resemble the work of Henri Matisse and Jean Arp.